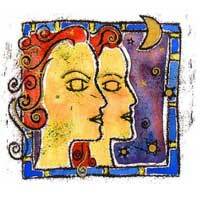 The Cancer influences the aspects related to the Gemini's money and personal belongings/properties. Mercury and the moon that rules over Cancer produce an alternation of all states of mind. This relationship is going up and down when it comes to the affective and emotional side. Because you have an ideal opinion about Cancer, you can be disappointed and surprised when his/her flaws start to show. If you are realistic from the very beginning, then there's a chance for this relationship to work. You experience many things next to a Cancer and will eventually end up with a money- making plan. For this you will have to be patient. 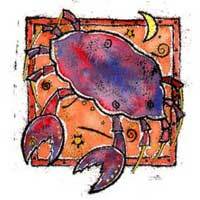 Cancer has a stabilizing influence especially concerning the finances. He also appreciates sense of humor and represents a stimulus for you to think and create. For this relationship to work, Cancer has to be mature, and you will have to have passed the adventure period because without efforts, the relationship will end. Communication is important, permanently if possible or else there will be misunderstandings between you two and depression can be contagious. Next to a Cancer you speculate less and trust the choices you make regarding serious investments. Generally speaking, this relationship is a challenge; the effort can be rewarding, but the success has to be earned.